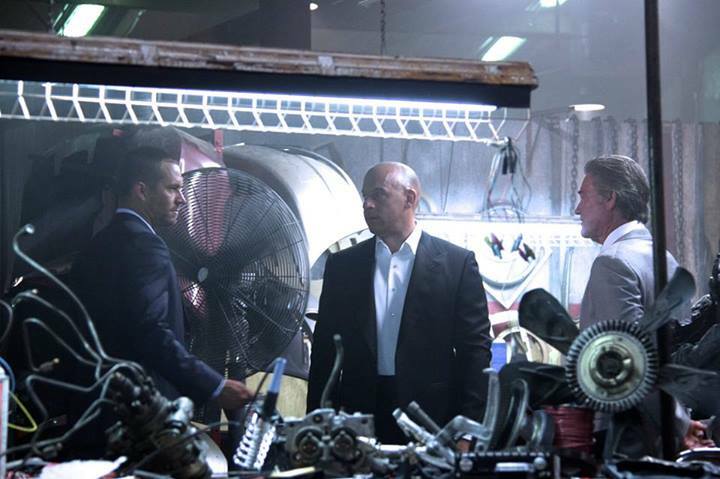 Well, Vin Diesel posted an image on his Facebook account of himself, Paul Walker, and Russell on the set of the new ‘Fast and Furious‘ film, which is being directed by James Wan. Diesel wrote under the image, “Kurt Russell, such an honor to work with…P.s. One from set…” Now, we have heard rumors in the past of Russell wanting to be a part of this franchise and him wanting to play a certain character, but nothing is really known at this moment for sure. Hell, we don’t know if he will be playing a villain or anti-hero. Lucas Black is Returning For ‘Fast and Furious 7’!!! This entry was posted on Wednesday, September 25th, 2013 at 11:03 am	and is filed under Film, News. You can follow any responses to this entry through the RSS 2.0 feed. You can skip to the end and leave a response. Pinging is currently not allowed. You so broke your bologna has no first name.